For all of the Beer enthusiasts out there we are super excited to announce our Growler Station is now tapped and ready to go!! We will be offering many different specialty brews on tap and ready to go daily! Prices will vary on the brew selected and we will have 3 on tap at all times! 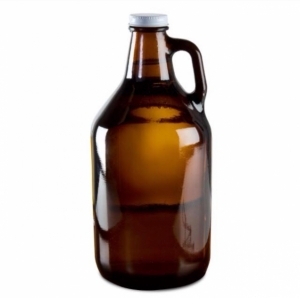 You can bring your own 32 or 64 oz clean growler to be filled or buy one we have here! Here is what we have on tap NOW! A crisp, refreshing extra pale ale balanced with a smooth and slightly citrus hop character. Fermented with ale yeast but uses 95% Pilsner malts. Restoration Pale Ale® is brewed with pale, caramel and carapils malts. It is liberally hopped and dry hopped with Cascade hops. This golden ale has a rich body, mild bitterness, and a snappy citrus hop flavor and aroma. With your help Restoration raised over $550,000 for hurricane relief. An American wheat ale brewed with a hint of rye and American hops that create a spicy, light bodied beer. Great to pair with crawfish.